Mezzanine funding is racing through the debt markets and becoming one of the top options for companies in the middle market. The first step to gaining funding from a mezzanine firm is to show strong historical financial performance. If your company has strong financial history and a compelling growth plan, you are a strong candidate for mezzanine financing. 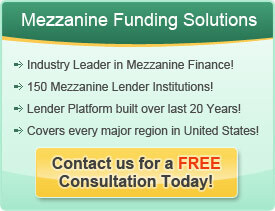 Mezzanine funding requires a company to have not only good financial performance but also good financial records. Your company should have audited or reviewed financials and should have a controller or chief financial officer. Management breadth is also a key component that mezzanine lenders require. Mezzanine lenders structure their loans based on a multiple of your adjusted trailing twelve month EBITDA. This determines the size of their loan and the total amount of debt they are comfortable with on your balance sheet. Most lenders use a multiple of 2.5 times to 3.5 times EBITDA as their criteria when sizing their loans. Mezzanine firms require a strong business plan with specific information in order to qualify a company. It helps to have an advisory firm with relationships and structuring expertise to help you through the process. The big difference between mezzanine and bank loans is that mezzanine loans are unsecured and are repaid through the cash flow generated from the growth opportunity they are funding. This aligns the mezzanine lender with the owner of the business as to long term success. The key to running a successful mezzanine process, is in having the right approach, information and manpower on the job. That’s where Attract Capital comes in. Through two decades of mezzanine experience, we have become very well networked and connected with the likes of many different mezzanine lenders. We can analyze what you are trying to do with your company, and pair you with an institution that will really gel with your plan of attack. Once you and the mezzanine lender who best fits into your equation have worked out agreeable terms and are ready to move on to the next step, we will make sure everything goes according to plan. Once the deal takes place, the only thing left for you to do is to take the capital and apply it to your growth opportunity. Most mezzanine lenders are ready willing and able to provide successive rounds of financing if you should need it again for future growth.